2017 Compilation – PDX POP NOW! Attend the compilation release party July 9th, at Holocene to pick up your advance copy! 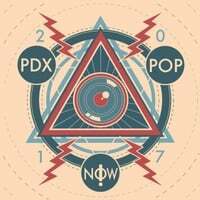 Presenting the 2017 PDX Pop Now! compilation, featuring 40 tracks from all Portland, OR artists. Known for bringing attention to some of the most talented musicians Portland has to offer, PDX Pop Now! celebrates the 14th compilation dating back to the non-profit’s inception back in 2004. Available to purchase June 22nd, 2016 at local retail outlets and online at cdbaby.com. Proceeds from sales of the album go towards funding the festival and our outreach activities.